Join us for a networking Happy Hour! 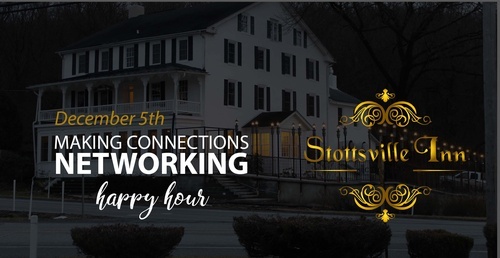 Make new connections and rekindle old while enjoying the atmosphere of the historic Stottsville Inn, nestled in the heart of Chester County. The Inn has undergone an incredible transformation at the hand of the Quinn Family!